Dr. David L. Durst, a board certified plastic surgeon, has been in private plastic surgery practice in Huntsville since 1987. From breast lift and augmentation to liposuction and abdominoplasty, he believes that cosmetic surgery should be a positive, safe, and enhancing experience for the patient. Dr. Durst has a reputation for having a down-to-earth and approachable demeanor. Patients appreciate the special attention they receive during their one-on-one consultation as he provides a thorough explanation of surgical procedures, risks, and recovery. A native of Missouri, Dr. Durst attended medical school at the University of Missouri – Columbia and completed both his surgical residency and plastic surgery residency at the University of Kentucky in Lexington. In private practice since 1987, Dr. Durst co-founded The Cosmetic Surgery Center of Huntsville in 2001 to provide a private, personalized environment for his cosmetic surgery patients. The Cosmetic Surgery Center of Huntsville is the area’s only freestanding plastic surgical center and is certified by The American Association for the Accreditation of Ambulatory Surgery facilities. In practice in Huntsville since 1987, Dr. Durst has surgical privileges at The Surgery Center of Huntsville, Huntsville Hospital, and Crestwood Hospital. He has been active in the medical staff organization of Huntsville Hospital in many ways, having served in the past as the Chairman of the Trauma Committee and as Chief of Surgery. He has also been a member of multiple other committees including the Quality Improvement Committee. 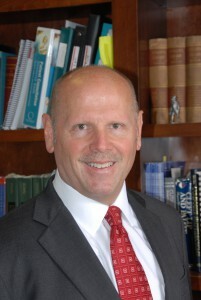 On a local level, he is a member of the Madison County Medical Society and the Alabama Society of Plastic Surgeons. On a national level, he is a member of the American Society of Plastic Surgeons and the American Society of Aesthetic Plastic Surgeons. He has served on national committees with the ASPS in the past and has been a regional governor for the University of Missouri Medical School Alumni Association as the Southeast Regional Representative. Dr. Durst and his wife reside in Huntsville. An avid photographer, Dr. Durst also enjoys golf, traveling, gardening, and cooking. His wife, Cindy, is active in many charitable and civic projects in the North Alabama area. Their son, Christopher, is a graduate of Georgia Tech in biomedical engineering and has his PhD from Rice University in Houston in bioengineering. He works in a small entrepreneurial firm developing medical products, still living in Houston with his wife Alana. Their daughter, Jennifer, is a graduate of Duke University and UAB Medical School. She has finished her OB/GYN residency in Birmingham and specialized training at Washington University in St. Louis in high-risk OB care. She and her husband, Dr. Conor Hardeman, practice at the Oschner Clinic in New Orleans. Patients are often surprised at the amount of time Dr. Durst will spend with them and their families explaining a possible surgical treatment to them. He is committed to patient education, offering alternatives and allowing patients a clear understanding of what the upcoming surgery requires. He is happy to entertain questions and feels that it is his responsibility to create a personalized treatment plan for each patient.